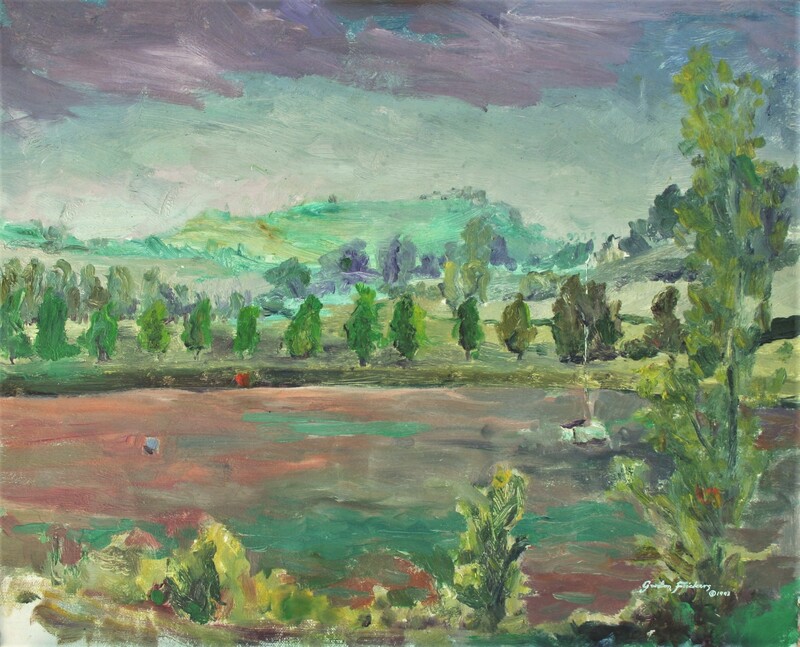 By Gordon Frickers 40 x 50 cms (15¾” x 19¾”), available, £2,000. The weather was wild, wet and warm. Determined to paint, it was this or work indoors, so out I went, hiking 3 miles clad in T shirt shorts and sandals with a sailor’s red sea jacket, 60kg of easel and paints in his back pack. 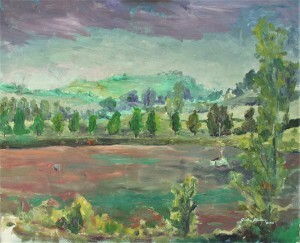 One of a pair (see “After Hot rain) painted on successive days from the same location, Castelnau de Montmiral, painted ‘plien aire’ caught in dramatic mood, painted on location from beside the Lac de Vere on successive hot summer days, during and immediately after the thunder storms and heavy rain that peel off the Pyrenees, typical of summer in this region. I just had to do something so donned my sea coat. Nature’s moods captured in an unconventional memorable way? The result is another extraordinary painting?